I’ve been a fan of the now long-running “Insidious” series ever since the first installment was released eight years ago. But, with Adam Robitel’s “Insidious: The Last Key,” the franchise may have finally run out of the creative vibes that made each episode so amazing. A prequel to 2010’s “Insidious,” the movie that started it all, “The Last Key” follows Elise Rainier (Lin Shaye), a well trusted and experienced parapsychologist. She receives a disturbing phone call one day from a man who tells her that he believes his house has seen some paranormal activity. In a desperate plea for assistance, he asks Rainier to pay him a clinical visit in hopes of driving the evil spirits away. However, to her horror, she realizes that the haunted house in question is actually her scarring childhood home. With the help of her two fearless paranormal assistants, Specs (Leigh Whannell) and Tucker (Angus Sampson), Rainier embarks on her journey to the home she once lived in ready to confront demons from the past. 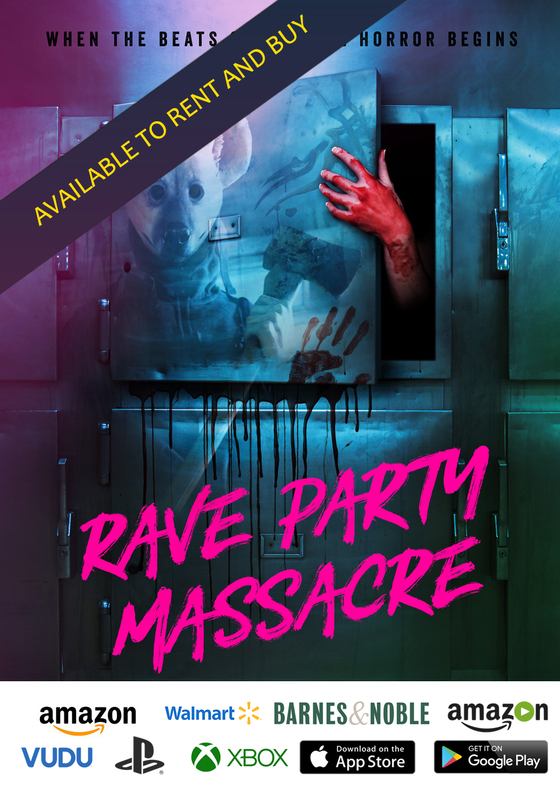 Upon her arrival, she discovers terrifying secrets about the entities haunting the place. Against the worrisome odds, Rainier and company must destroy an extremely dangerous spirit that roams the halls. Let me just say this right off the bat, Shaye is easily the best thing about “The Last Key.” Reprising her role from the previous “Insidious” films, she’s again riveting, and given how prominently the character is featured, and how personal the story is to Rainier, Shaye delivers her best performance of the series. Sadly, the same cannot be said for the rest of the cast. There were some truly cringe-worthy moments scattered throughout. A couple of lines of dialogue in the film just did not feel right in a film like this. One of the film’s main characters, Specs, jokes how the team’s paranormal RV they use to travel should be named the “Winnebaghost.” When this line of dialogue was spoken, the theatre felt completely empty, as if everybody in the audience at that moment cringed. If they did, they are not alone. Whannell portrays Specs as aforementioned, but he also serves as the film’s screenwriter. Additionally, he directed the previous film in the franchise “Insidious: Chapter 3.” He definitely knows the characters of this series considerably well, and the best aspect of his involvement with “The Last Key” is his character development with Rainier. “Chapter 3” was, up until “Last Key,” my least favorite of the “Insidious” films, but that being said, it was still an exceptionally creepy film with some great tension. 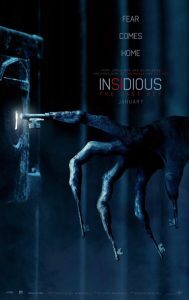 Since this film is a prequel to the first “Insidious” film, references, secrets, and connections to the film are inevitable. “The Last Key” handles this in a poor manner unfortunately, though. One of the scenes in the third act of the film was obviously there just to tie this film into the first “Insidious.” It felt absurd and rushed, and, perhaps the best way they could have tied this film into “Insidious” is to include story elements from that film into “Last Key.” But, instead of doing this, they chose to quickly tie everything together and show scenes from “Insidious” in a time-span of about thirty seconds. My main issue with almost every “Insidious” film previous was the film’s strange choice of humor. When you really think about it, attempts at humor simply does not belong in this series. A series that deals with abusive families, satanic demons, and paranormal activity. Gratefully in previous installments though, the humor, while annoying, did not necessarily distract you completely from the story. With “The Last Key” though, the attempts at humor did bug me. I saw this film in a theatre that was pretty packed full of people that seemed eager to watch the film, like myself. Whenever a character said something that was intended to be funny, there was not even a slight chuckle that could be heard anywhere throughout the crowd; including myself. The scenes involving Rainier’s abusive family relationships as a young child were easily the most captivating in this picture. Those sequences, while quite limited, were extremely emotional, and I felt deep sympathy for Rainier. It is just that the film only chooses to explore it a handful of times, then completely ignore it. This unfortunately does feel like the only “Insidious” film where the horror elements did not scare me nearly at all. There was only one scene towards the end of the second act that actually had true tension and was filmed excellently. Yes, there are plenty of horror related scenes, but they are mainly jump scares, which got on my nerves a little bit. 2010’s “Insidious” actually has one of my favorite scenes in any horror film ever made. It involves the main entity of the film quite simply sitting behind one of the film’s protagonists smiling. There was no music building up to the scene and before you saw the demon behind the character, you truly did not expect to be scared. It is because the scene felt simple and almost innocent, when suddenly we see a disturbingly creepy demon simply smiling. That is the kind of horror that frightens me, and nothing of that nature is in “The Last Key.” The motion picture relies on jump scares in an attempt to scare viewers nearly one hundred percent of the time. I did however like the big twist involving the film’s main entity, and it took me quite off-guard. It was excellently done and added exceptionally more to the story, which was great and surprising. 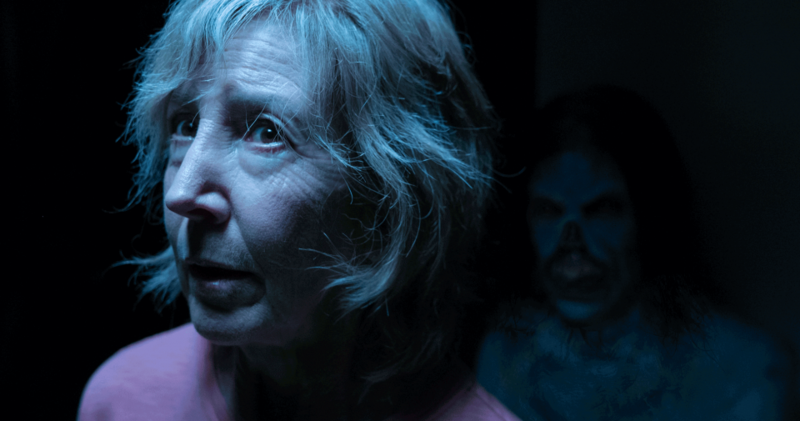 When you boil it down, “Insidious: The Last Key” only has one amazing performance, that of Lin Shaye. The rest of the film is a tired and uninspired attempt at scaring viewers by relying solely on jump scares, and inserts more unnecessary jokes than ever before. Unfortunately, this is the most disappointing film in the “Insidious” franchise yet.